Which Retreat Should I Choose? Spend the day with a licensed therapist and learn about Jungian Dream Concepts. Get an idea of how to work with our dreams and have a relationship with your unconscious. Our world is not limited to what we sense and think we know. Relationship with the many aspects of ourselves moves us into a fuller understanding of Self and life. We will do an Active Imagination that will be personally art-ful … not art as you know it! Filed Under: Art, Dreams, One Day Workshops, Upcoming Events, What is Patricia doing? Stay tuned … Jenny will be doing a cooking for health and for fun class in July. Email if you are interested. Only 6 participants at a time. More information to come when date is finalized. Check out the new ‘Springtime Events’ at the top of the page. 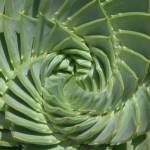 Excited to greet the month of April with art, holistic therapies and dreams - Three retreat weekends! April fun: April’s birthstone is the diamond, which symbolizes innocence. (My 2 daughters were born in April – just sayin!) Zodiac signs for the month of April are Aries and Taurus – one for each daughter. Other Historical April events: “Hank” Aaron tied Babe Ruth’s Home Run record in 1974. / First Easter egg roll at the White House, 1877 / F. Scott Fitzgerald’s “The Great Gatsby “ published, 1925 / First motion picture public showing, 1894 / Ford Motor Company unveiled its Mustang automobile, 1964 – A very good year! / Apollo 13 astronauts splashed down safely, 1970 – Another very good year! / The first train crossed the Mississippi River, 1855 / Space shuttle Discovery blasted off from Cape Canaveral, Florida, carrying the $1.5 billion Hubble Telescope, 1990 / The nation’s first Social Security checks were distributed, 1937! / Hey now, doesn’t that make you want to get out in April to the Sedona, Jerome, Clarkdale, Oldtown Cottonwood area? It could be historical …. Riting Myth with Dennis Patrick Slattery, Ph.D. Filed Under: Phoenix Friends of C.G. Jung, What is Patricia doing? Dennis Harness, Ph.D. did a wonderful presentation on VEDIC ASTROLOGY for Beginers. The group had a worthy experience and talked Dennis into continuing the education. He combines valuable information with stories and anecdotes that keep one focused as well as entertained. The next workshop is scheduled for early April. Pre-registration is required. Contact: dayanandaji@gmail.com to reserve your space. 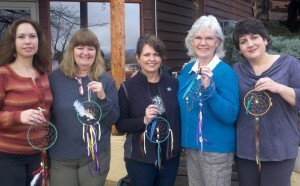 and beautiful dreamcatchers. Thanks Jan for your expertise and patience! Contact me if you are interested in the next event. I enjoyed the weekend workshop at Phoenix Friends of C.G. Jung. Marillia Baker presented and hosted a workshop on relationships using the Psyche and Eros myth. It was wonderful to experience the knowledge of this scholarly woman and to participate with peers in the exciting, thought- provoking workshop on Saturday. I encourage people to check out the regular events hosted by PFOJ. The website is www.PhoenixFriendsofcgJung.org Next event is February 22 and 23, presenter is Dennis Slattery, Ph.D. one of my professors back in my graduate days at Pacifica. I look forward to attending and seeing many of you there. Join us for a fun afternoon. 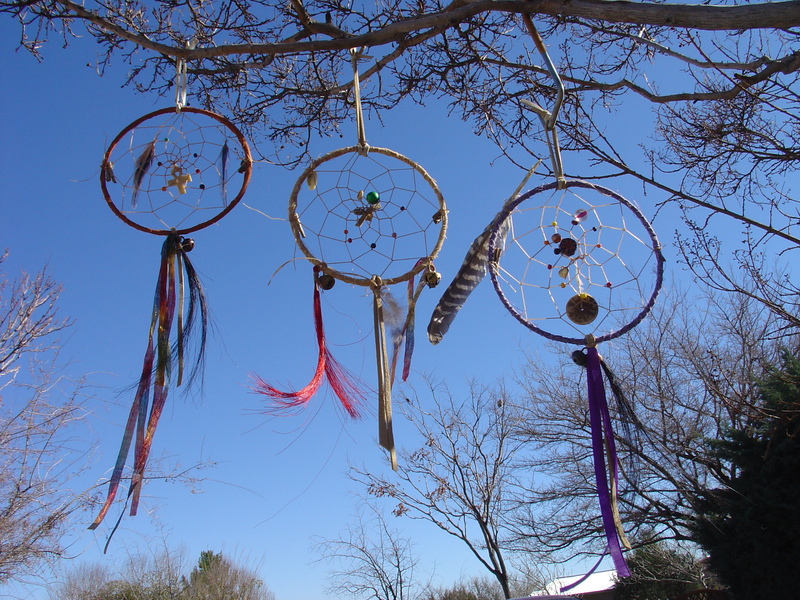 We will have a Native American teaching about the dream catcher. 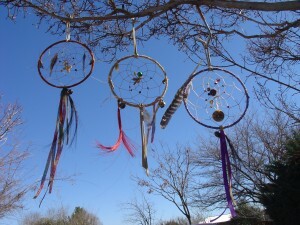 We will have materials and instructions and we will each make a Dream Catcher! 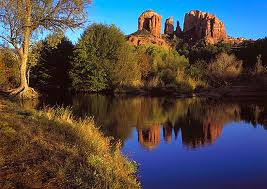 Come spend the afternoon at our beautiful retreat center with amazing views of the red rocks of Sedona. Saturday, January 27th, 2013, 10 a.m. to 3 p.m. Cost is $75. Bring a lunch. Welcome to Personal Growth Seminars! Welcome to Personal Growth Seminars! 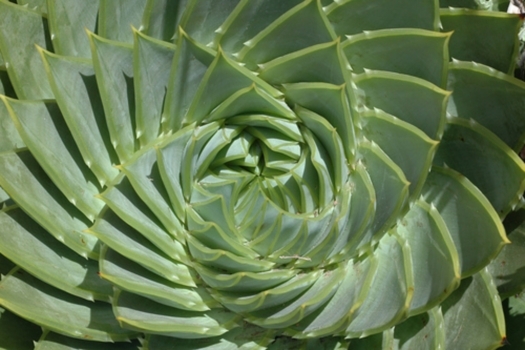 We offer numerous personal growth retreats and seminars in the Verde Valley near Sedona, AZ. We can also present them in your city or town. Contact us for more information.